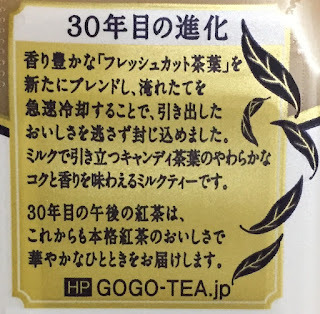 My husband found a unique pet bottle drink at NewDays, a train station conbini chain, and it's Gogo No Kocha (午後の紅茶), which means afternoon tea. 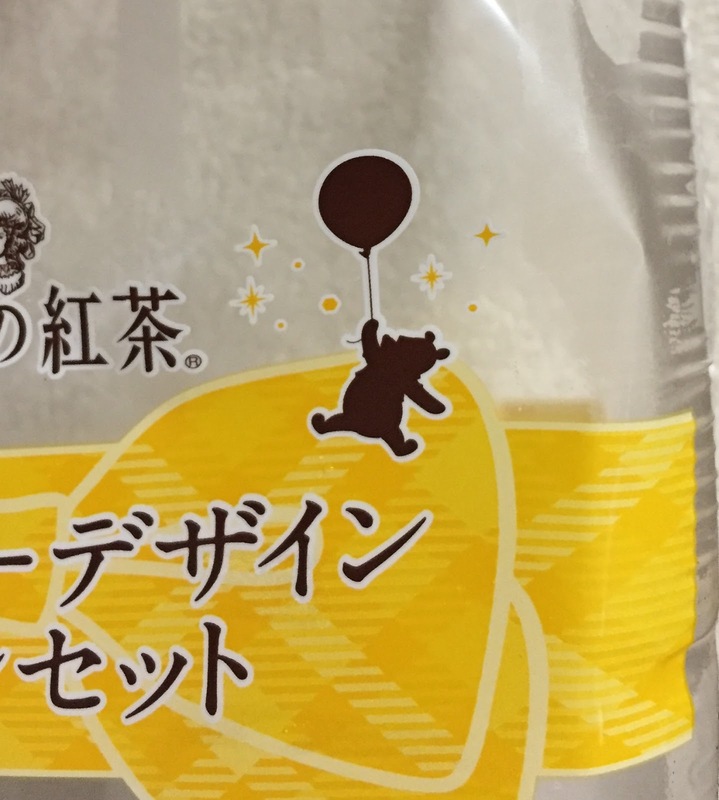 As you can see, there's a Pooh in a bottle and it's a special Disney Design Bottle Set available in Kanto area for a limited quantity, sold on January 31, 2017. 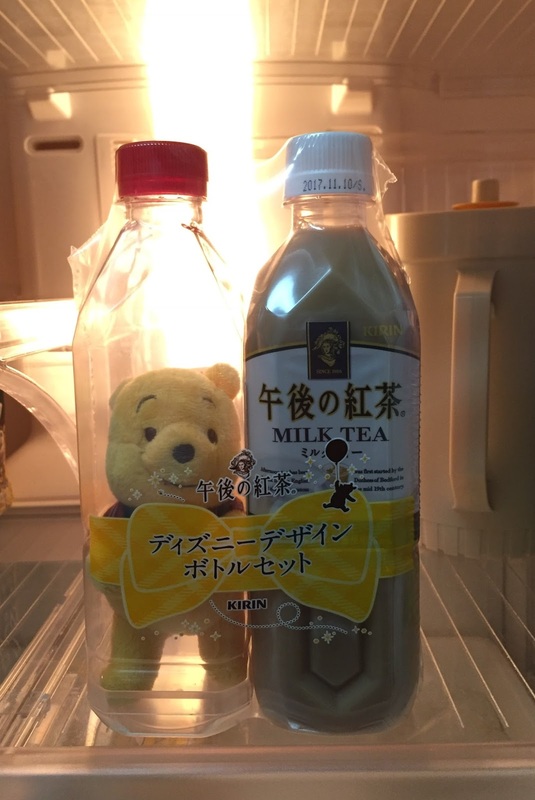 When my mom saw this in the fridge, she was surprised to see Pooh in the fridge and asked, "Don't you feel bad that Pooh is chilled?" The plastic wrap holding the 2 bottles had a yellow ribbon print, and on the right side, there's a Pooh holding a balloon. Gogo No Kocha Milk Tea. This milk tea is flavorful and velvety, but not too sweet or too heavy, and I tend to drink it all very fast. We now blend fragrant "fresh cut tea leaves" and quick-freeze the freshly-poured tea to lock the tastiness. You can enjoy mild and rich Kandy tea leaves, enhanced by milk. 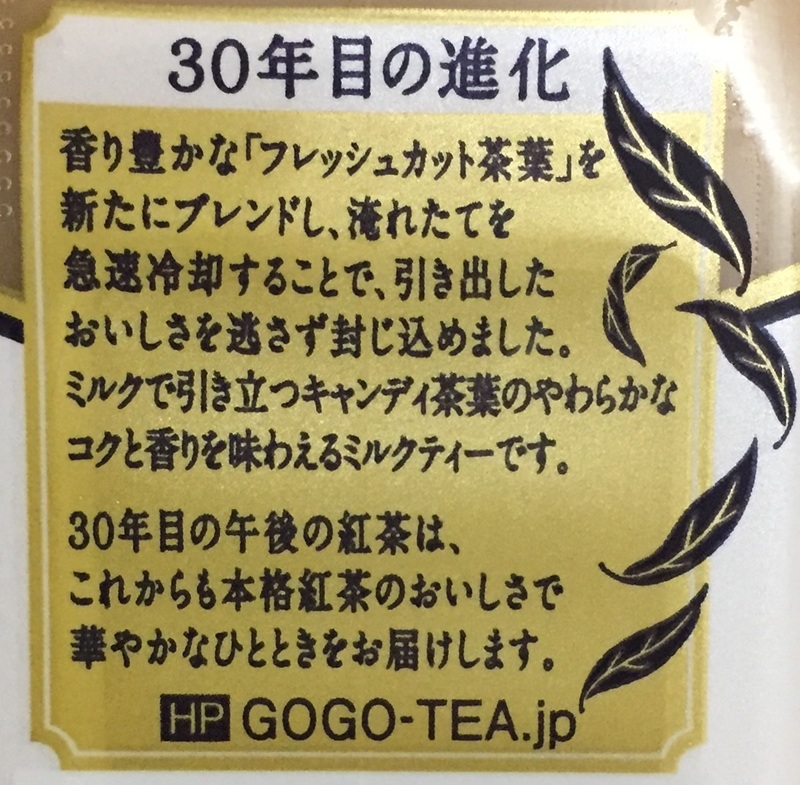 We'll deliver luxurious moment with authentic black tea with our 30th year of Gogo No Kocha. Gogo Tea is how we abbreviate this brand's name. The bottom was removable to take him out. He's wearing a tartan-checked shirt. 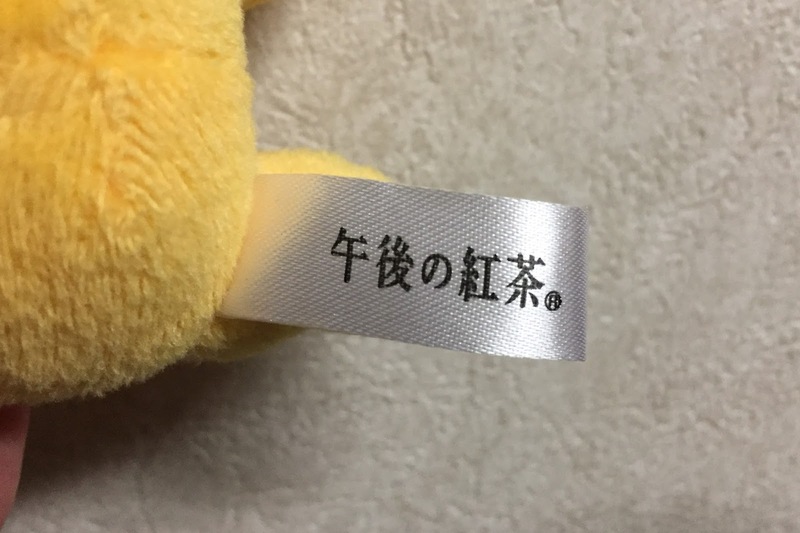 His bottom had a logo tape, "Gogo No Kocha." Another review of Gogo No Kocha.